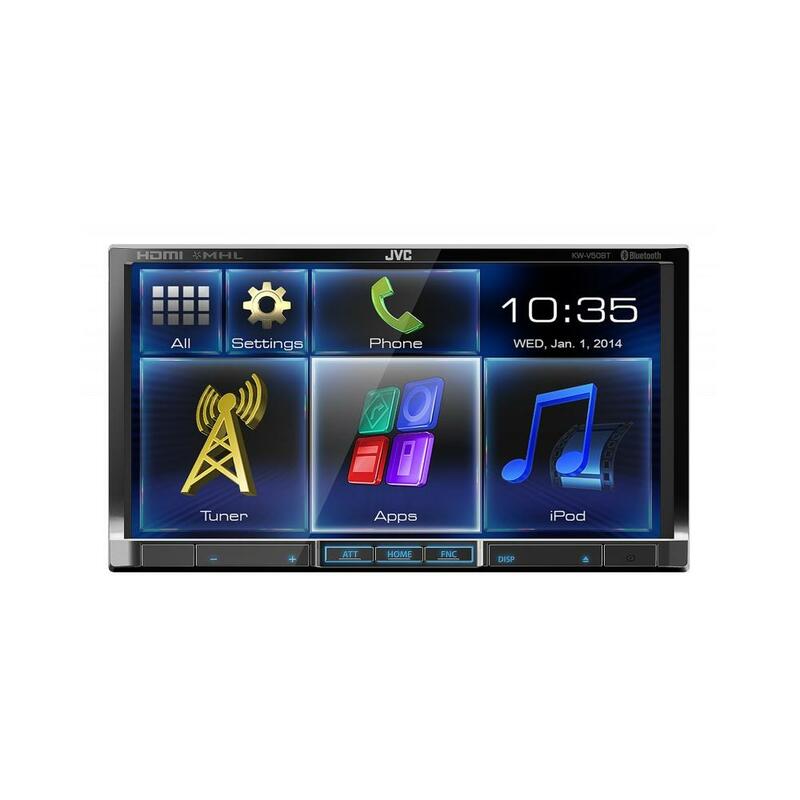 The KW-V50BT is a 7' Touch Screen Monitor Bluetooth/DVD/USB Multimedia Receiver system. Using optional cables, the diverse system can display most apps from connected MHL compatible Android smart phones, iPhone 5 devices, and up to 20 apps for iPhone 4 and 4s devices ranging from Navigation, to Driving, to Music Streaming Services. Compatible iPhone 4 and 4s apps can be controlled as well. The receiver is also SiriusXM Ready, iHeartRadio compatible, Pandora Compatible, and has Built-In Bluetooth Wireless Technology. *5 Compatible with iPhone 4/4S/5 Audio & Video and iPhone 4/4S App Control. iPhone 5 App Control compatibility is under study. Can this model be fitted into this car and will it need any adaptations? My car also has a rear view camera already fitted, can this also be connected? This can be installed in your Toyota Estima. You will need a harness adapter and a fascia plate. Regarding your factory camera you will need to visit your local store to see if they can retain it. To install this JVC KW-V50BT in your Transit. You will need the following parts. that includes fascia kit, Steering control, Aerial Adapter. Hi just wanted to know if the JVC KW-V59BT Unit will fit in my car Seat Altea 2009 model its Facia is black in colour and no steering wheel control. What other accessories would be required. Hi, yes the KW-V50BT will fit you Altea. You would need a few parts to do the install correctly. You would need a fascia panel, Wiring harness with a cam-bus adapter, As your car runs cam-bus wiring. You would also need a aerial adapter. We have listed these parts below for you. can you tell me if I buy this what else I will need to fit this into a mk7 2010 transit please and how tricky is it to fit? Will this headunit fit my car? If your VW Polo has standard radio with a tray or cd changer underneath it. Then this KW-V50Bt will fit. You will need the below listed parts. Would this fit a 2004 Nissan Almera in place of the stock navi? is remote control included to this set or no ? Will this unit fit or the 30bt or 40bt and if I bought one could I fit myself. Hi, Does this unit have a removable facia for security?